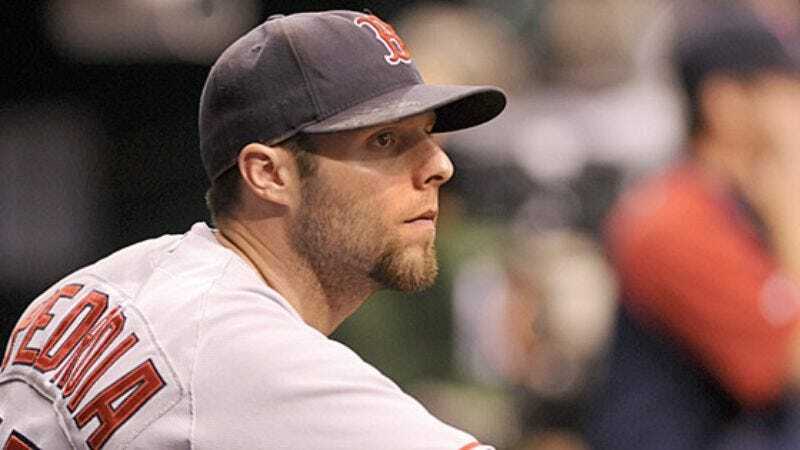 ST. PETERSBURG, FL—In a postgame press conference following a Game 7 loss that halted another magical Red Sox playoff comeback, Boston second baseman Dustin Pedroia informed the nation that you can't win them all. "Realistically speaking, you cannot win literally every game you play," Pedroia said. "What I'm trying to say is, there are many variables that go into each game, like the weather, fatigue, emotion, and human error. Combine those elements with the randomness inherent in the universe, and it's absolutely impossible for a team to win all the time. Every season, we have 162 games, which can be seen as 162 opportunities to either win or lose, taking into account that our opponents also want to win. I'm sure most fans believed otherwise, but I just hope everyone can accept this unfortunate truth." To further illustrate his point, Pedroia drew a diagram based on Schrödinger's famous cat-and-box gedankenexperiment to show that, although any baseball game has the potential to be won or lost, only one outcome can occur.